Gabriela “Gaby” Coronado, Esquire is the owner of Coronado Law Office, PLLC, a firm located in Stafford, Virginia. Gaby concentrates her practice in the areas of Trusts & Estates, and Estate Administration. In 1994, she obtained her Bachelor’s Degree in Finance and International Business from the American University in Washington, DC. In 1998, Gaby received her law degree from the University of Puerto Rico School of Law. 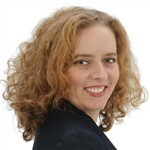 She is a member of the American Academy of Estate Planning Attorneys; the National Academy of Elder Law Attorneys and its Virginia chapter; The Virginia Bar Association (Sections on Trust & Estate and Real Property); the American Bar Association (Section of Real Property, Trust and Estate Law and Law Practice Division); the Hispanic National Bar Association; and the Military Spouse JD Network. Gaby is licensed to practice law before the Commonwealth of Virginia; and the Commonwealth of Puerto Rico and its Federal courts. She is an active member in good standing of the bars of both jurisdictions. Gaby dedicated 11 years working as a civilian for the United States Marine Corps. She and her husband, a retired Marine, dedicate time to organizations serving active duty members and veterans in their area. Prior to moving to Virginia in 2004, Gaby practiced law in Puerto Rico. Gaby is fluent in both English and Spanish, and has practiced law in both languages. Rosa is the operations manager at the Coronado Law Office. She assists Gaby with clients to gather pertinent information essential to their specific plan, prepares Estate Planning Seminars, and keeps clients apprised to the status of their cases. She prides herself in concentrating on details, keeping Gaby on track, and clients well-informed throughout the handling of their cases. Rosa values the confidence of our clients and excels at assuring their understanding of their legal documents and overall importance to the firm. She enjoys working with the elderly and takes pride in client satisfaction. 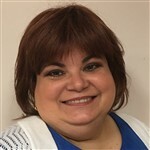 In 1988, she obtained her Bachelor’s Degree in Business Administration with majors in Accounting and Finance from the University of Puerto Rico. In 1998, Rosa received her law degree from Loyola University of New Orleans. Rosa is a member in good standing and licensed to practice law before the Commonwealth of Puerto Rico and its Federal courts since 1999. Prior to moving to Virginia, Rosa practiced law in Puerto Rico. Rosa is also fluent in both English and Spanish. Manny develops and manages the Coronado Law Office information systems, including data systems, accounting systems, and websites. He ensures that all office automated systems are secured and effectively running. He is retired from the Air Force, and has more than 20 years experience as a Systems Administrator, Network Engineer, and Web Developer.